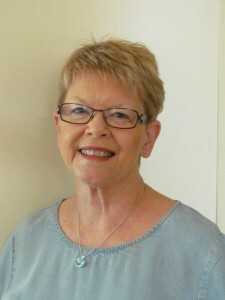 Bronwen Webb (Bron) lives with her husband in Adelaide, South Australia and retired in 2013 after a long career in the health and higher education industries in Australia. As well as The Legend of Wild Horse Beach (book 1 in The worlds of Magic Series), Bron has had several short stories traditionally published in anthologies for adults and children, with more due to be published in 2014 and 2015. Bron is currently writing The Ice Diamond, book 2 in the Worlds of Magic series. She is a member of the SA (South Australian) Writers’ Centre and was its Chair for several years. Bron is involved in community development and is chair of a community centre. She is fascinated by astronomy and has a very complicated telescope which challenges her technological skills to the maximum. Bron has two grandchildren who live in Sydney, Australia. She is an e-grannie on Skype, but loves visiting them. (They are too young to read her books at present, but they like looking at them). I’ve always loved writing. Most of my writing has been short stories but writing a novel was always my aim. Finishing The Legend of Wild Horse Beach and having it positively received has been a great incentive to keep writing. I have written short stories for adults and for children, and had the stories published in anthologies, but, now that I have grandchildren, writing for children is my priority. But I do have an idea for a novel that will probably be YA. I’m not an outliner. I’ve tried that approach but find I get bored with it. I’m happier just sitting down and writing and letting the story and the characters evolve. If I get a bit blocked, then I might try to outline various lines that could move the story forward. Keep persisting and try not to listen to the negative voices, including the one in your own head. But do listen to constructive criticism and definitely have your writing professionally edited before you send to a publisher or independently publish. After several rejections from traditional publishers I decided to independently publish The Legend of Wild Horse Beach. I’m glad I went that way, rather than just having it sitting on my PC and having my enthusiasm to write deflated. Independent publishing has allowed me to continue to write and obtain ongoing feedback. So I definitely recommend independent publishing, but make sure the book is the best it can be with a professional cover – it’s worth spending on this – and having the text professionally edited. I think it’s still strong. People will always want books and most still like the feel of a hardcopy book. However, I think the focus of most publishers on publishing only well known authors, or celebrities, is a negative thing. I do worry about the number of bookstores closing in our city (Adelaide, South Australia)and understand that is a trend across Australia, and probably elsewhere, too. The impact of internet buying is obvious.